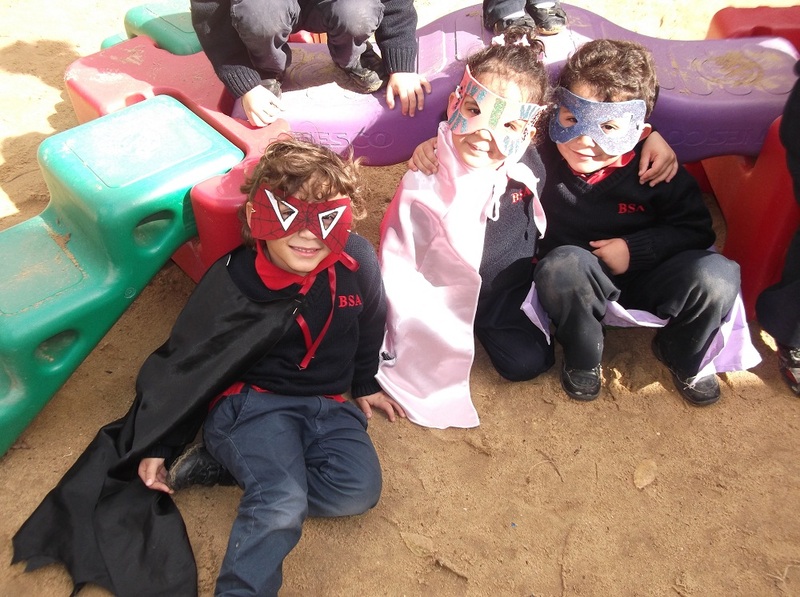 Our topic this term was “Superheroes” and on Thursday 31st January we had a super fun day in FS2 Red to finish the topic. 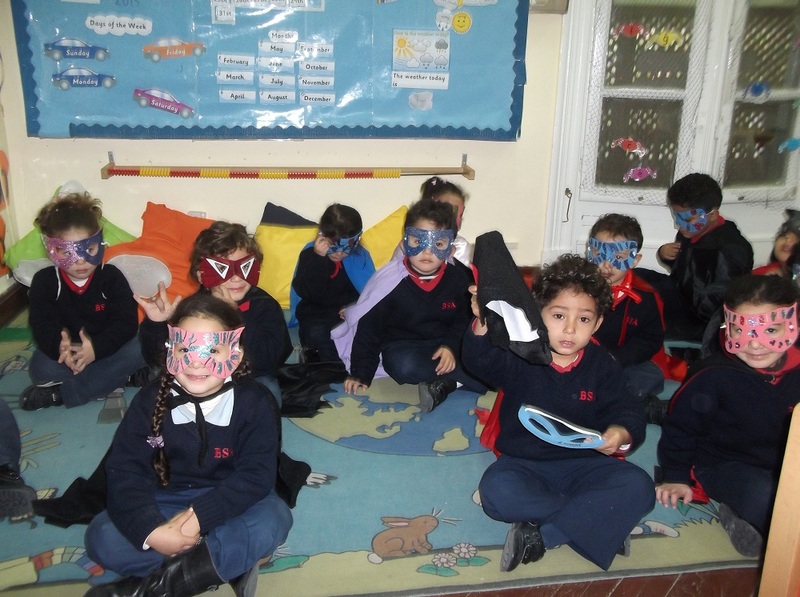 We joined FS2 Blue for a “Superhero” day. Children created their own capes at home, (Well done Moms they looked fantastic! 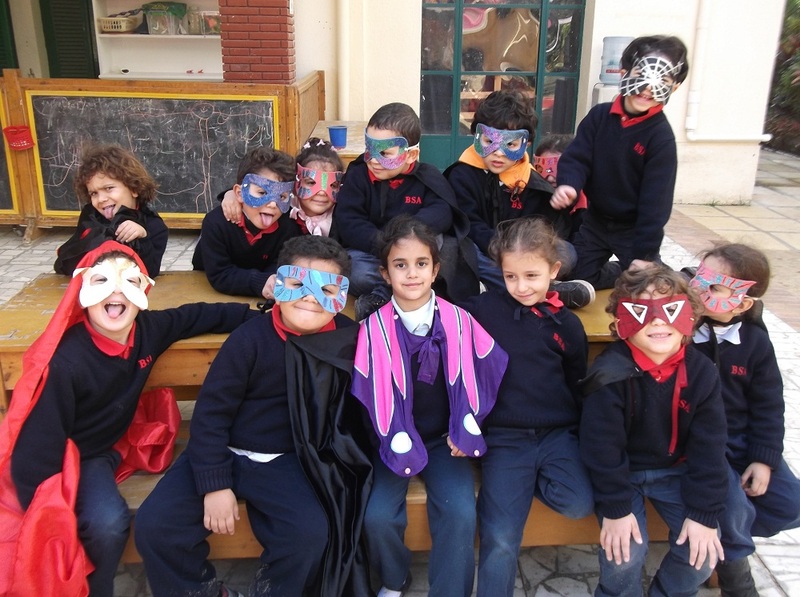 :) ) as well as decorating their own individual masks at school in preparation for the day. The children undertook lots of “superhero challenges” throughout the day, we started by making “super smoothies” using fruit and milk, we then created our own “super gadgets” to give us our super powers. 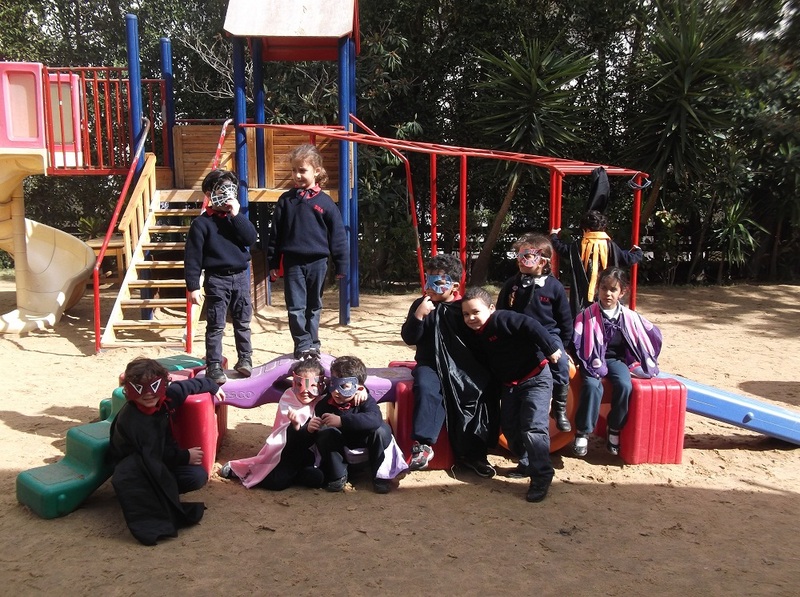 After snack, children completed the “Spiderman obstacle course” including a climbing challenge, just like Spiderman! We then broke up into our 4 different groups and undertook even more challenges including our “super speed” challenge and “super listening” challenge. We completed the afternoon by performing our superhero dance routine.